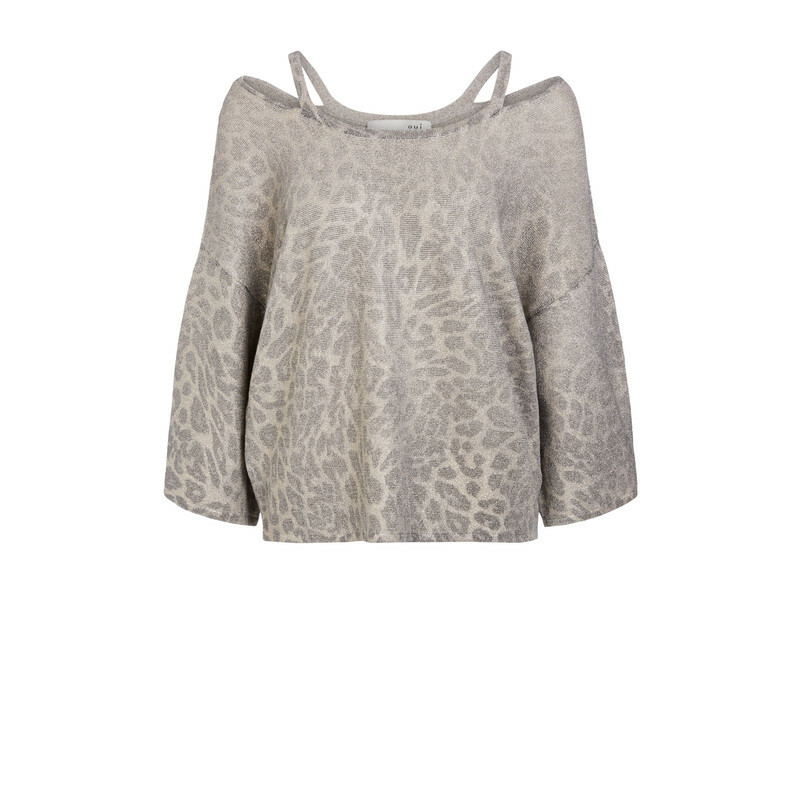 Oui animal print metallic jumper is a loose fit with cut out neck detail. 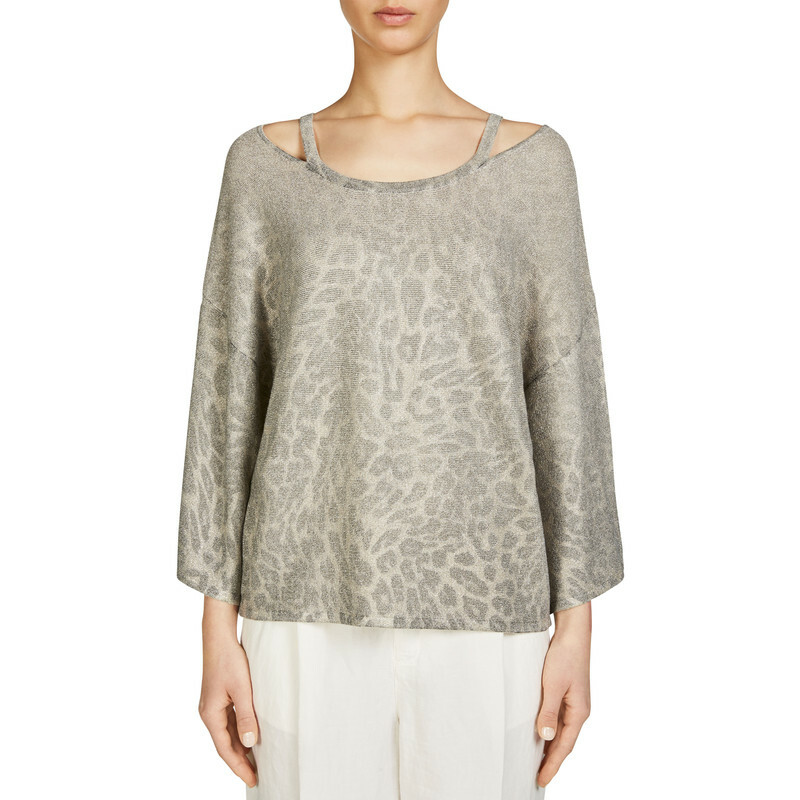 The drop shoulder and loose sleeves make this an easy to wear shape. 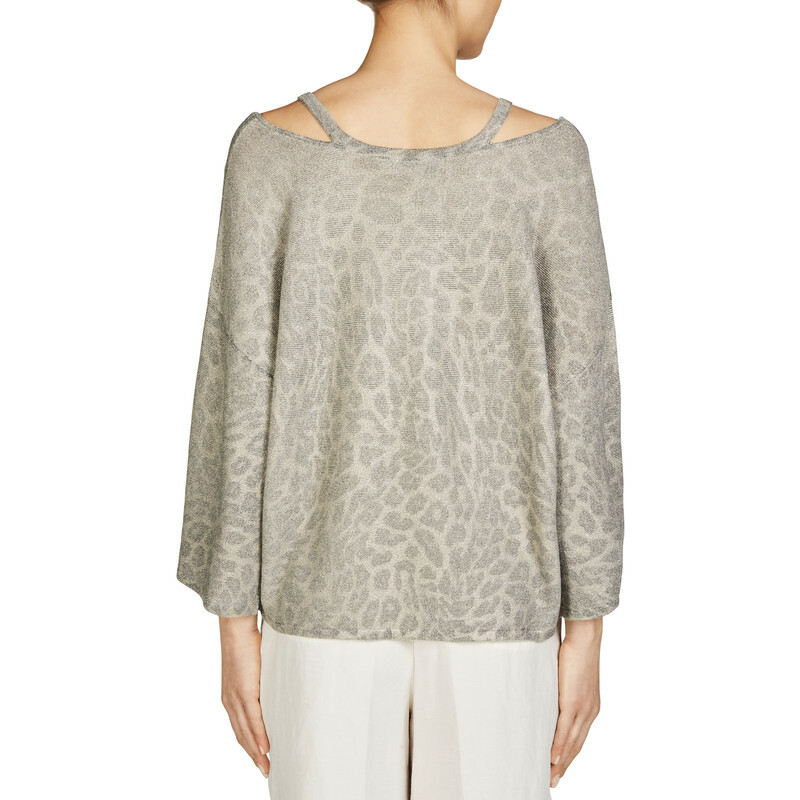 The subtle animal print metallic fabric can be dressed up or down. Wash at 30 degrees in a mesh bag. Dry flat. 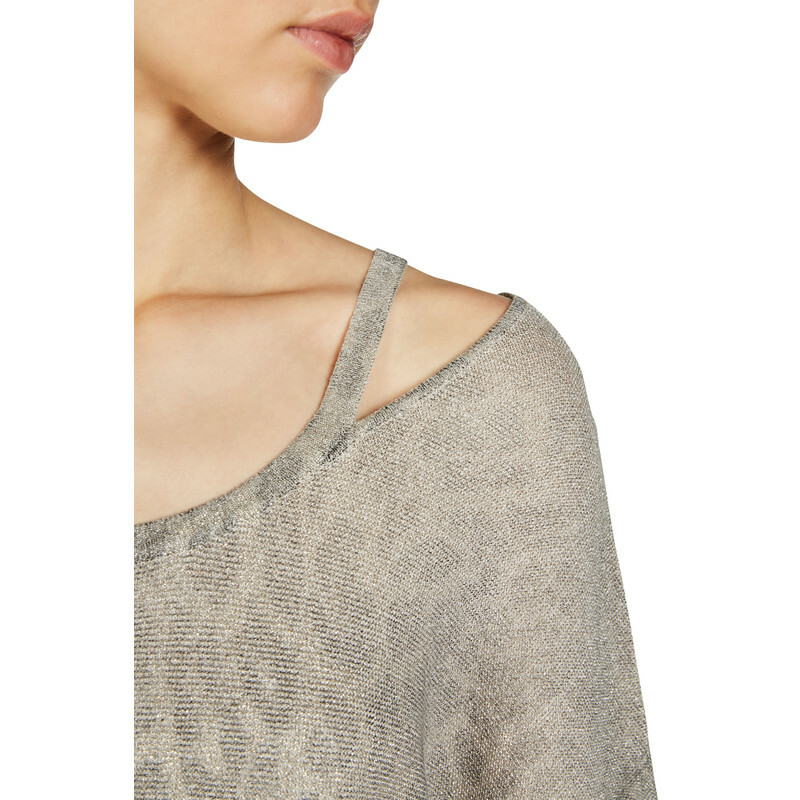 Iron on low.